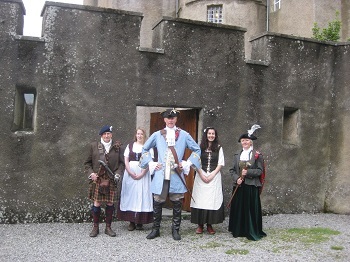 Enjoy traditional Highland hospitality with a three-course dinner and entertainment in the company of the Earl and Countess. The year is 1714, the Earl and Countess of Mar are entertaining. Scotland is in the grip of unrest, the Jacobites are once again rattling their broad swords and toasting the King over the Water. Newly arrived from Government duties in London, the Earl is licking his wounds after a slight from the new King George I. But tonight the Castle will celebrate and feast on the spoils of the hunt. Tickets for this exclusive dinner (just 24 guests can be accommodated at his Lordship’s table) are priced at £30 each. Click HERE to return to the upcoming events page.